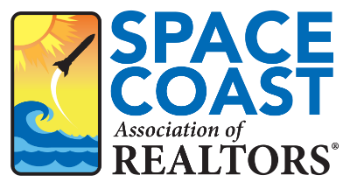 Escrow Rules and Regulations: How to Stay Out of Trouble 3 CE - Space Coast Association of REALTORS® Member Site. We handle escrow anytime we handle money that doesn’t belong to us. This can include Sales contract deposits, Rent, Security Deposits, Advanced Rents, or Maintenance money for repairs. Take this course and learn ways to handle other people’s money while staying within the law and guidelines. Objectives: At the end of this course, the student will be able to: • Understand the difference of escrow funds versus other funds. • List the options of who can hold escrow. • Explain why a broker would or would not hold escrow. • Utilize company money within escrow accounts. • Explain the time requirements for escrow deposits. • Understand the time requirements for escrow deposit receipts. • Understand how to handle worthless checks. • Familiarize themselves with the steps required in escrow account reconciliation. • Utilize methods to handle discrepancies in reconciliation. • List software options that can help in the reconciliation process. • Know where to find monthly checklist as an aid in their reconciliation process. • Know what to expect during an escrow audit.